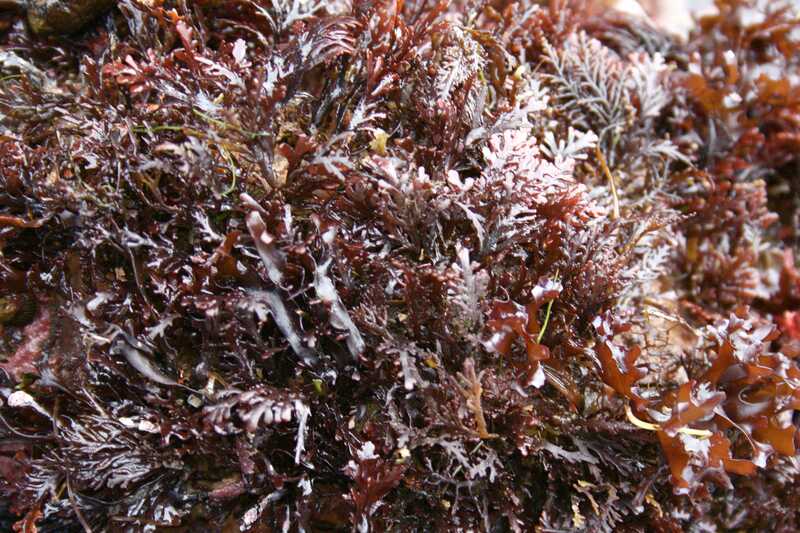 Researchers at Oregon State have patented a new strain of seaweed that tastes like bacon when it’s cooked. The seaweed, a form of red marine algae, looks like translucent red lettuce. It also has twice the nutritional value of kale and grows very quickly. Did we mention it tastes like bacon? According to Oregon State researcher Chris Langdon, his team started growing the new strain while trying to find a good food source for edible sea snails, or abalone, a very popular food in many parts of Asia. The strain is a new type of red algae that normally grows along the Pacific and Atlantic coastlines. But Langdon realized he had his hands on something with a lot more potential when his colleague Chuck Toombs visited his office and caught a glimpse of the growing seaweed. Toombs said he thought the bacon-seaweed had “the potential for a new industry for Oregon,” he told Oregon State in a press release. Toombs then began working with the university’s Food Innovation Center, which created a range of foods with the seaweed as its main ingredient. Flickr/Akuppa John Wigham Irish Moss and Pepper Dulse. Langdon said no US companies grow red algae for people to eat, but the seaweed had been consumed by people in northern Europe for centuries. Though no analysis has been done yet to find out whether commercializing the bacon-seaweed would be practical, the team thinks the vegan and vegetarian markets may be interested. Toombs’ MBA students are hard at work on a marketing plan for a new line of specialty foods. Some red algae is sold in the US now, but it is a different strain from the one harvested at OSU. Langdon says he is growing about 20 to 30 pounds of the stuff a week, but he plans to more than triple the production.